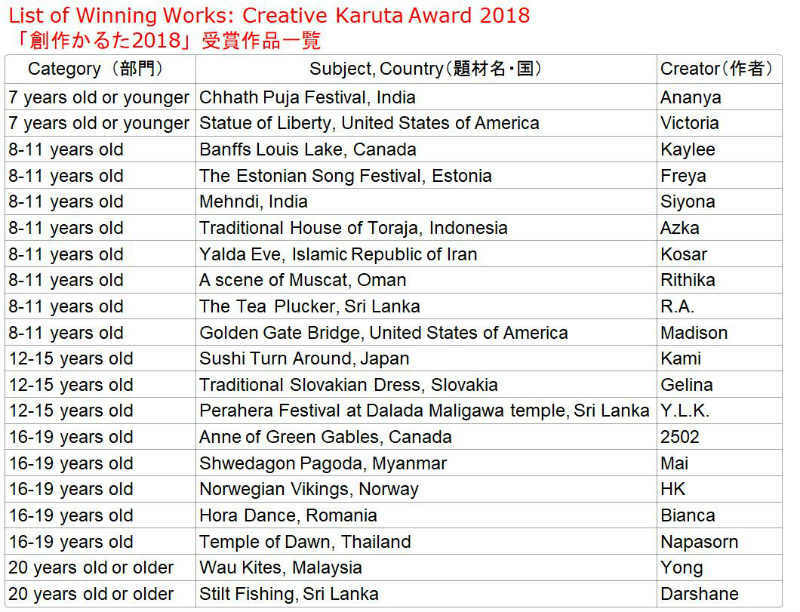 which is a prize to the winners of Creative Karuta Award 2018. Thank you so much for your entry to Creative Karuta Award 2018. We received 629 entry works from 27 countries. announce the results on our website in February 2019. Thanks again for your entry! 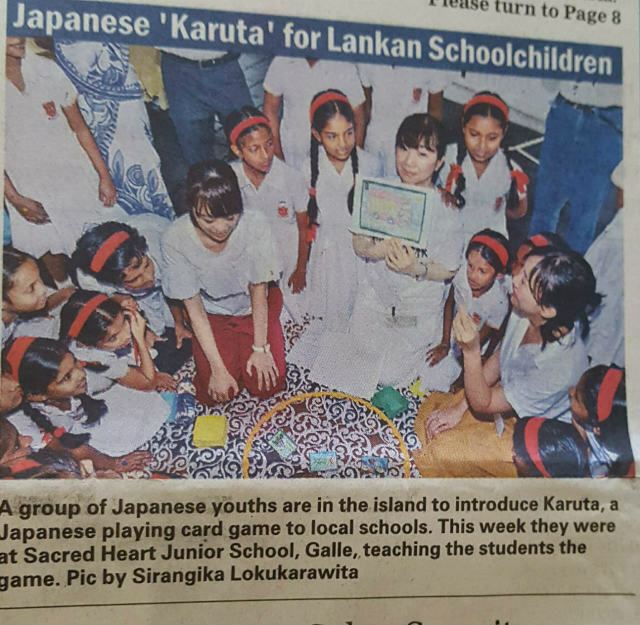 themed around Japan, Sri Lanka and played karuta with their own cards. enjoyed the game with a lot of smiles. 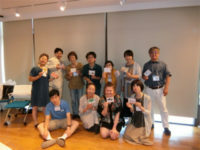 On Saturday, 14th July we held the 2nd Poland Karuta workshop in Nishiogikubo, Suginami, Tokyo, organized by Suginami Karuta Project, a member of Karuta 2020 project team. 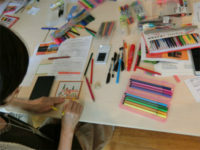 The total 10 people, many of participants were the Suginami locals, worked together. First we learned various aspects of Polish culture through presentation by a Polish student. 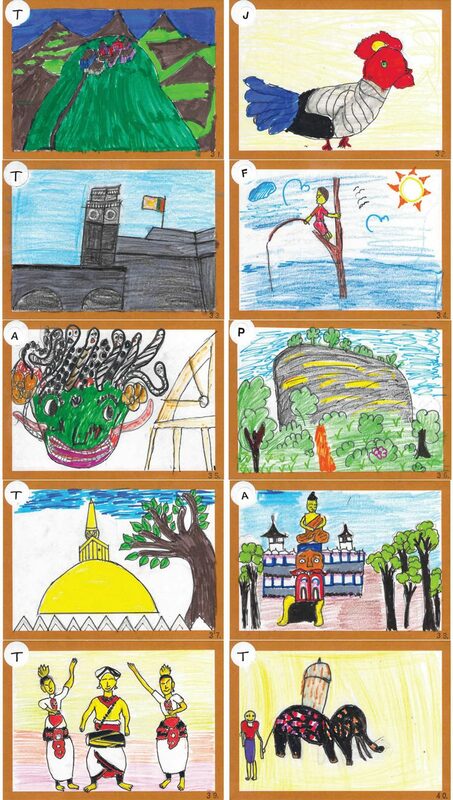 Then each of us chose one subject, drew the picture and created the lines. 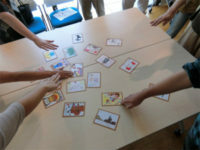 Finally we enjoyed playing karuta with the new cards. Here is the completed karuta cards.